With father’s day quickly approaching, it’s time to reflect on what golf may mean to dad. Playing a round of golf with your father is priceless. 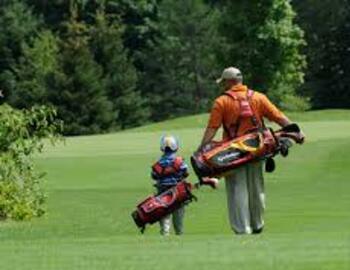 Dads put their competitive feelings aside and just enjoy the time outside on the course with their kids. In today’s age, having time to spend with your loved ones is few and far between. With work, school, kids activities and chores we often find ourselves looking back thinking where did all the time go? Don’t let more time go to waste. Spend Father’s Day this year with the people who mean the most to you- bring dad to the links for a day he won’t forget.